While Florida seems like it's all pricey theme parks or sleek South Beach restaurants, the Sunshine State has plenty of fun and surprising activities that won't cost you a dime. Whether you want to sightsee, lounge on a beach, or get a history lesson, Florida has seemingly endless free things to do. Take a boat ride, check out a secluded state park, or choose from one of the other 15 activities, all among our favorite free things to do in the state. Florida's sunsets are spectacular, and people in two Florida communities—Key West and Clearwater Beach—think that is reason enough to celebrate! Night after night, the crowds gather a couple of hours before sunset. The atmosphere is festive: Live bands play, artisans hawk their wares, talented artists sketch portraits, and performers delight the crowds. As twilight approaches everyone seems to pause to enjoy Mother Nature's show-stopping spectacle. Then, as if on cue, the party continues. You can find Sunset Celebrations at Mallory Dock in Key West, or at Pier 60 in Clearwater. Right off the coast of Sarasota lies one of the top rated beaches in the county, Siesta Key Beach. The eight-mile stretch of beach has been voted one of the "finest, whitest sand in the world," on multiple top rated lists, including Dr. Beach and The Travel Channel. Known for its wide expanse and stunning quartz sand, this is one of Florida's greatest wonders. Whether you plan to stay overnight or only a few hours, you'll find plenty of conveniences at Siesta Key, including a full-service concession, showers, restrooms, changing areas, picnic tables and a children's playground. Parking is also free. Amelia Island's Fernandina Beach is a postcard perfect destination that doesn't have to wreck your budget. Spend the day on the island's pristine beaches filled with incredible wildlife, then, explore the sights, window shop in the unique downtown, or stroll the historic district in a self-guided walking tour. None of it will cost you a penny. Complimentary tours and wine tasting are offered seven days a week at Lakeridge Winery & Vineyards in Clermont. Tours are held every half hour, beginning with a 15-minute video presentation that shows the growth of Florida's grapes all the way to the winemaking process. The tour includes the production area and a spectacular view of the vineyards where the grapes are grown and harvested. Tastings are held at a large tasting counter with a selection of award-winning wines offered. The tour and wine tasting last approximately 30 minutes. During July, the vineyard hosts a free summer music series with live bands. Located on the Naval Air Station in Pensacola, the National Naval Aviation Museum provides hours of hands-on history with countless things to touch, see, and experience. More than 150 beautifully restored aircraft and over 4,000 artifacts representing Navy, Marine Corps, and Coast Guard Aviation are on display at the museum. In addition to free parking and admission, you can watch the fantastic Blue Angels practice on Tuesday and Wednesday mornings March through November. On Wednesdays, there is also an autograph session with the pilots inside the museum. If you don't have time in your travel schedule to visit the museum, make a quick stop at the Florida Welcome Center in Pensacola to see a life-size display of a Blue Angel fighter jet. In Lake Placid, affectionately known as the Town of Murals, you'll find more than 40 murals adorning buildings in the downtown area. That's just the beginning, as there are surprises in this little town around every corner. Small parks and green spaces are punctuated with plenty of benches, perfect for enjoying the beautiful surroundings. And downtown is also home to one-of-a-kind sculptured trash containers: A steam locomotive sitting on its tracks, a larger than life turpentine bottle, a jail and beautiful butterflies are just a few of the creative containers that stand ready to take on your trash. Tallahassee is Florida's capital city, where the state's lawmakers meet to conduct the Sunshine State's official business. The old and new capitol buildings are within the same block with guided and self-guided tours available for free. Tour hours for the old capitol building are offered daily except Thanksgiving Day and Christmas Day. Reservations at least two weeks in advance for guided tours are encouraged. All guided tours for the new capital require reservations, and visits during the legislative session, March through April, require reservations made at least two months in advance. Tours are held daily, except for New Year's Day, Labor Day, Thanksgiving Day and Christmas Day. So often county parks are off the beaten path, but that is not the case with Volusia County's Sun Splash Park, located right on Daytona Beach. While you have to pay to drive on the famous beach, the four-acre park includes 95 spaces of its own off-beach parking. The park features an interactive "zero depth" water play fountain, a shaded playground, volleyball courts, picnic areas, restrooms, outdoor showers, Coca-Cola-sponsored "cool zone" and two beach access ramps. Sun Splash Park is open daily from sunrise to sunset. The Holocaust Memorial, dedicated to the memory of the six million Jewish victims of the Holocaust, is located in Miami Beach. Built of luminous Jerusalem stone and black granite the memorial makes a beautiful statement in the telling of a tragic story. Groups of 10 or more must make a reservation before visiting. Lakeland's Lake Mirror is beautiful enough, but stroll the promenade around the lake, and you'll find a treasure trove of surprises: The tiered Hollis Garden and entertaining Barnett Family Park. There is something to please everyone in the entire family. Hollis Garden is a 1.2-acre tiered botanical garden that overlooks the Lake Mirror Promenade. The garden displays thousands of flowering plants, ornamental shrubs, and water features. Barnett Family Park features elaborate sculptures of native Florida animals and beautiful hand-cut glass Byzantine tiles. A unique themed playground, interactive "zero depth" water play area and a large pavilion for picnics and parties complete the family fun. The water play area is closed on Wednesdays. Every Friday evening, more than 300 vintage rides parade down the streets of Kissimmee. Ranging from classic hot-rods to antiques, the city's Old Town parade is one of the most popular attractions. Afterward, there's a hoppin' concert of tunes from the '50s and '60s. Plus, the town is home to restaurants, shops, and even amusement rides, ensuring a free night of fun for the whole family! 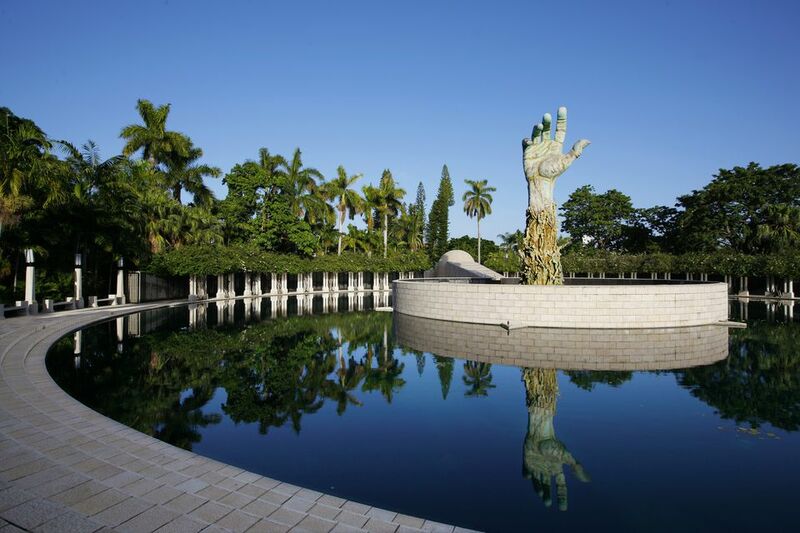 Head to this Coral Gables landmark every Sunday afternoon for a free tour of the spectacular hotel and grounds. This luxurious Spanish Revival-style hotel has hosted some of Hollywood most prominent stars, including Ginger Rogers and Judy Garland, as well as European royalty, like the Duke and Duchess of Windsor. Today, the Biltmore is the only hotel in South Florida recognized as a National Historic Landmark. Save some money and catch your own dinner at Cedar Key! Recreational scalloping is one of this island's most popular summer activities, as kids and adults alike will dive down to the bottom to grab a few of the giant shells. Many area restaurants will cook your catch for you for a small fee. This northwest Florida creek is called "the canoe capital of Florida." The stream is shallow and cold even on the hottest summer days, but has some of the swiftest water in the state, making for an exciting trip. The sand-bottomed river is part of the Blackwater River State Forest, a popular destination for swimming, fishing, and camping.